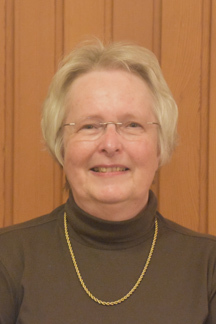 Judy grew up in North Berwick, attending both local schools. 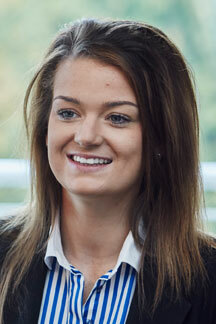 She then completed a joint honours degree in Economics and Law at the University of Northampton. 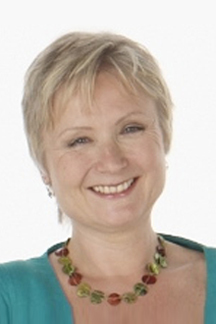 Following her studies, Judy worked in London before relocating back to Scotland and currently works as an auditor. Judy is extremely fond of North Berwick and keen to do what she can to ensure that our lovely seaside town is not lost as it continues to grow. She is keen to work to ensure that the continued development of the town is on agreeable terms and with our local people in mind. Gordon was born in India to Scottish parents and moved around considerably before returning to Scotland. He has lived in North Berwick for over ten years and intends to remain here indefinitely. For most of his working life he has been in senior financial roles with a number of commercial companies. Latterly he carried out several short term financial roles with the Welsh Rugby Union, the Lawn Tennis Association, the Scottish Qualifications Authority and several other firms in Edinburgh. He is retired a few years ago and fills his time with a variety of interests including golf, learning Gaelic, walking the family dog and local history. 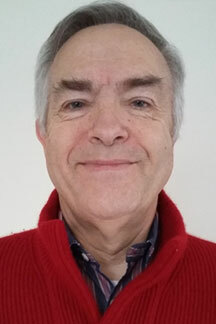 He has been a Trustee of the Coastal Communities Museum in North Berwick for five years, initially as Treasurer and more recently as Chair. Kathryn has lived in North Berwick since 1968. A graduate of the University of Edinburgh, she was in legal practice in Edinburgh for some 20 years. Kathryn has been a political activist for over 30 years, Chairman of East Lothian Conservatives for seven years and Organising Secretary since 1999, a position from which she retired in 2015. A keen golfer Kathryn is a past Captain of North Berwick Ladies. She has been a member of the Community Council since 2004 and a member of North Berwick Trust since 2008. 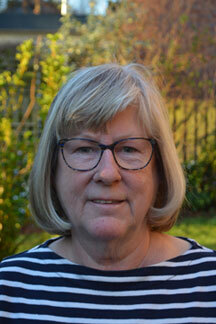 She has recently been appointed a Trustee and Secretary of the Coastal Communities Museum. Bill was born in North Berwick. Educated North Berwick and Napier College. He served a local Electrical Engineering apprenticeship followed by 3 years in the Merchant Navy and 19 years in the offshore industry, [exploration, construction, and commissioning, production, and subsea installations], took over the running of the family business, Gilsland Caravan Park in 1990 and retired in 2013. He also served on the Committee of the East Lothian Tourist Board before becoming a director of the Edinburgh & Lothian’s Tourist Board until its demise and amalgamation with Visit Scotland and also helped form EL Tourist Forum and served as Chairman for a number of years. He has a great love of North Berwick, the town and people. He has watched it grow throughout his life, welcomes the many benefits this growth has brought and believes if a town is pleasant to live in it’s a good town for tourism and business. He loves the community spirit and sees this reflected in the many and diverse groups and clubs. He sees this as our great strength and this is what he wishes to support. 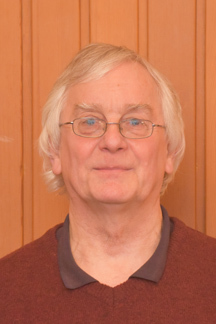 Bill was elected onto the North Berwick Community Council 1997. 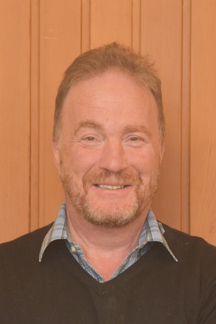 Born in Edinburgh Ian moved to North Berwick in 1958 and was educated at North Berwick Primary & High Schools. He started work with a local Radio & TV shop and then worked in sound recording and electronics before setting up in own electrical business in 1972. 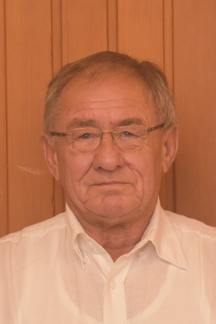 He was elected to the Community Council in 1986, and is a past Chair and Treasurer. Currently he is Chair of both Youth Network & Youth Cafe. Sue has lived in North Berwick for 10 years. After caring for family members with dementia for more than 20 years, she set up Dementia Friendly East Lothian in 2014 and now works across the county and beyond to help make communities more inclusive and supportive of people living with dementia and carers. Sue also works collaboratively to improve services and organises Friendship Groups and events for people affected by dementia. Sue is also a qualified Yoga teacher, teaching all ages in a range of settings including care homes and day centres. She is also a member of the North Berwick Community Centre Management Committee, Chair of Carers Scotland’s Advisory Committee and a member of Marie Curie’s Scottish Advisory Board. Previously Sue has worked for the Scottish Government, Stirling University and local government. She obtained her undergraduate and Doctorate degrees in Psychology at St Andrew’s University and has just completed a Masters in Dementia Studies at Stirling University. Sue is actively involved in the community with a particular passion for bringing the generations together to make friendships and reduce social isolation. She works with a range of groups to help create a community where everyone feels valued and included and which is supportive and open to everyone. She has a particular focus on including older people, people living with dementia and carers. 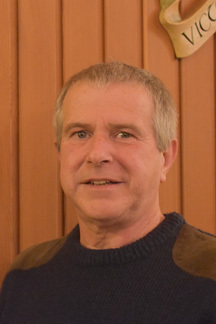 Lewis was born in Oxfordshire and has lived in Scotland for over 38 years. He moved to North Berwick approx. 2 years ago but has been coming here for many years and takes great interest in the future of the town. He is on the Youth Committee at Rotary and is interested in activities in both Law Primary and the High School. He was a Quantity Surveyor for many years, but is newly retired. He volunteers at the British Heart Foundation and the Coastal Communities Museum both in North Berwick plus East Lothian Works. Elected to the North Berwick Community Council November 2017. Peter Hamilton was educated at both North Berwick Primary and North Berwick High Schools. After training as an apprentice Plasterer with a local building firm in Gullane for five years he left that trade and joined the army in the 1st Battalion The Royal Scots where he served for just over three and a half years. He returned to the building trade for 15 years before being forced to give up paid employment due to ill health. His interests and hobbies are fly fishing, sea fishing, and also clay pigeon shooting. He also likes to show Clydesdale horses in Hand at Horse show competitions. Additionally, he is a volunteer checker on the Exmoor ponies that are on North Berwick Law. He is currently a member of the Law Residents and Tenants Group and regularly attends the local CAPP Meetings. 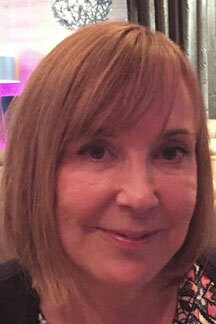 Christiane is Emeritus Professor at Edinburgh Napier University in Strategic Transport Management. She was born and bred in Germany and came to North Berwick in 1994 via a stint at the European Commission in Brussels and then a few years in Berkshire. During the first years here she engaged in the local schools in the Parent Committee, the PTAs, and then as member and then Chair of NBHS Parent Council. She later volunteered at Earth Matters and was a Director before it went private. She now volunteers at the Day Centre, but wanted to engage more for the wider community of the town she has come to love and now firmly calls her home for good. Kelly was born in North Berwick and attended both Law Primary and North Berwick High schools. She moved to Edinburgh for a time and completed her BN/Dip in Children’s nursing. After moving back to North Berwick to raise her son, she qualified as a beauty therapist at Edinburgh College and now works at the Marine Hotel. She’s very involved with Law Primary and is associated with the PTA, Parent Council, Bikeability and Project Play. Kelly views North Berwick as “the best town in the entire world” and is keen to be as involved as possible while it develops, hoping to help maintain the original charm that continues to attract new residents. Audrey has lived in and near North Berwick for most of her life, apart from a few years working in Edinburgh and London. Her children both attended the local schools where she was active in various committees and PTA’s. Audrey worked first in the Civil Service in a variety of mainly administrative, secretarial roles before following a different career by training to be a counsellor and then qualifying as a Social Worker. 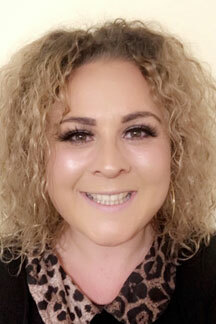 She continues to work as a social work manager for East Lothian Council on a part-time basis. She considers herself to be very lucky to live in such a beautiful town and wants to contribute by supporting all of the community to retain the special character of the town whilst adapting to the inevitable changes that continue to re-shape the area. Councillors are elected every four years. The next election will be in 2020.